The inventor of the Segway, Dean Kamen once said, “Every once in a while, a new technology, an old problem, and a big idea turn into an innovation” Out of Home media is currently on the cusp of just such a “once in a while” moment, a foundational change that will completely reshape the future of the industry. For hundreds (if not thousands) of years Out of Home media has remained relatively unchanged, based on the simple principle of placing advertising in a public space where it will be seen by large numbers of people. Reaching large, broad audiences inexpensively, and at scale has been the cornerstone of Out of Home, and while print, then radio, then television changed the overall media landscape, they all worked on the same fundamental principle. Online advertising fundamentally changed how marketers looked at the advertising paradigm. Instead of a one-to-many relationship, they could now build a one-to-one relationship with consumers who could be targeted based on behavior and intent, and a host of other variables. From it’s very beginning digital marketing has been measuring audiences – who clicked on what, when, where they went, what they browsed, etc – and the level of detail has only grown over the years. Just when you thought it was safe to go back into the media plan, along come these wonderful little mobile computers, masquerading as phones, to upend the model again. Now online is freed from the chains of the desktop, and is quite literally attached to the consumer, everywhere they go, 24-7, 365. And while there has been a great deal of focus on how this changes digital advertising, it has also had a surprising and perhaps unanticipated side effect: It is revolutionizing Out of Home media. For decades, Out of Home measurement was completely focused on the media—for this billboard, in this location, we can say X number of people pass by it every day. That correlated with how the media was planned and purchased: high traffic count = large audience = prime real estate. And for a long time that was fine – OOH was fulfilling its basic promise – delivering large audiences at low costs. But, when the computers and mobile devices came along those measurements paled in comparison to the level of detail that could be used to build a digital audience. The promise of the digital audience was targeting on the precision of their behavior and intent. Build your audience based on where they go and what they do online. With the number of smartphone users in the U.S. somewhere around 230 million in 2018 (source: Statista), the amount of data becoming available is far larger than anything marketers have ever been able to access. They also added something new to the data – location. 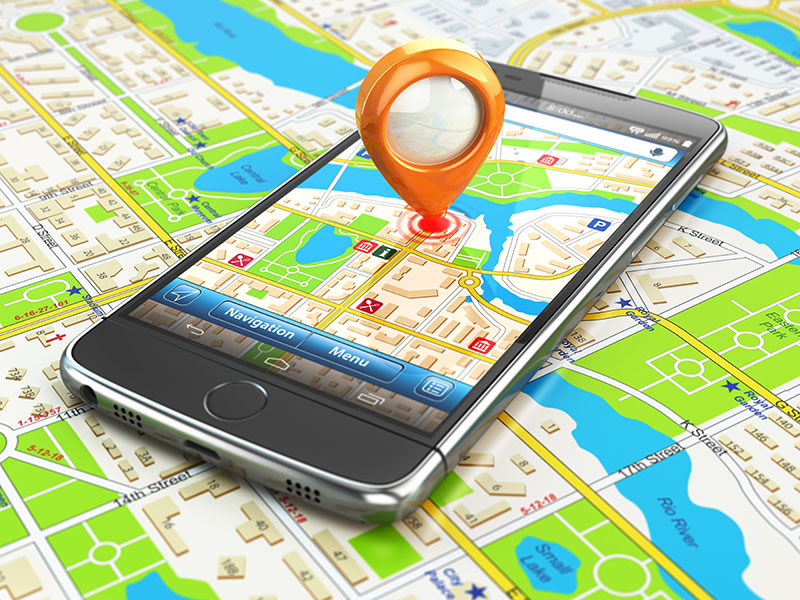 Much like the way your browser becomes a map of your digital history, now the cell phone was also a map of your location history in the real world. In retrospect, it should have been obvious that mobile devices would have a huge impact on Out of Home media planning and measurement. Take a consumers digital behavior and combine that with information about their physical location in the real world and, et voila!, new paradigm – Digital behaviors modeled in real word space. 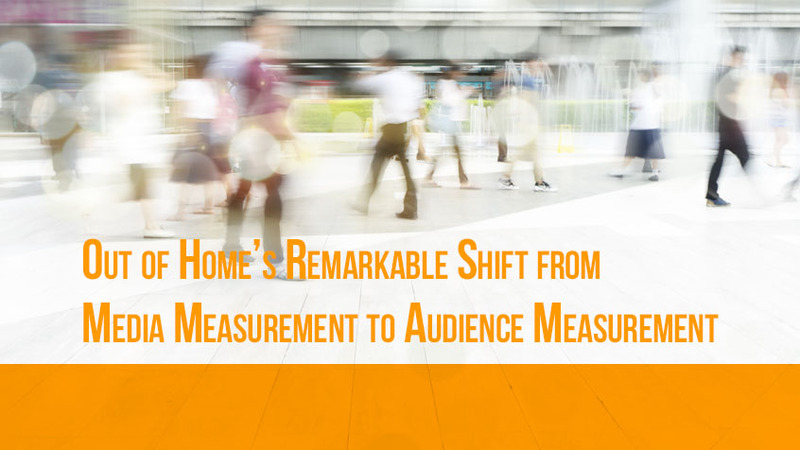 By extrapolating all those delightfully detailed digital behaviors into the real world, we can build an entirely new paradigm for Out of Home media planning – one that is based on the audience, not on the media. The old Wanamaker adage “Half the money I spend on advertising is wasted; the trouble is I don’t know which half”, has long cut a little too close to the bone for Out of Home. The media could deliver large audiences, but couldn’t really tell how much of that was the right audience. But, the growth in mobile data is changing that, bringing about a seismic shift in how Out of Home media is measured and planned. The focus of OOH planning is shifting away from the media. Now, out of home planning, like it’s digital cousin, is focused on the audience. We’re no longer trying to supply large, undifferentiated audiences. 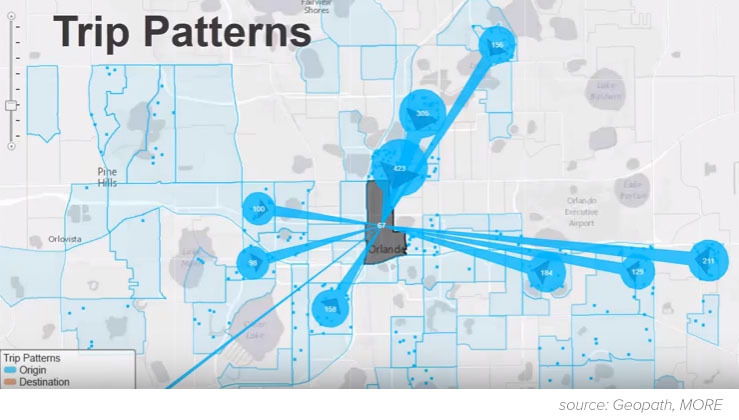 Now we’re looking for much more specific audience segments, built on the detailed profiles that their digital footprint can provide, and how these translate into real world location data. These include demographics, digital behavior, trip origination, home location, movement through the physical market, brand affinity, purchase intent, and more. With new technologies and measurement tools, like Geopaths “MORE”, being developed, Out of Home will now be able to provide audiences with the same level of granular detail as digital audiences – only in the real world. And that means the basic promise of Out of Home has completely changed – it is no longer solely about delivering the biggest number of possible impressions at the lowest cost. The goal of Out of Home planning has shifted from supplying the largest possible media impressions, to supplying the most accurate possible audience. The past of the Out of Home industry was about delivering media. The future of the Out of Home industry will be about delivering audiences. 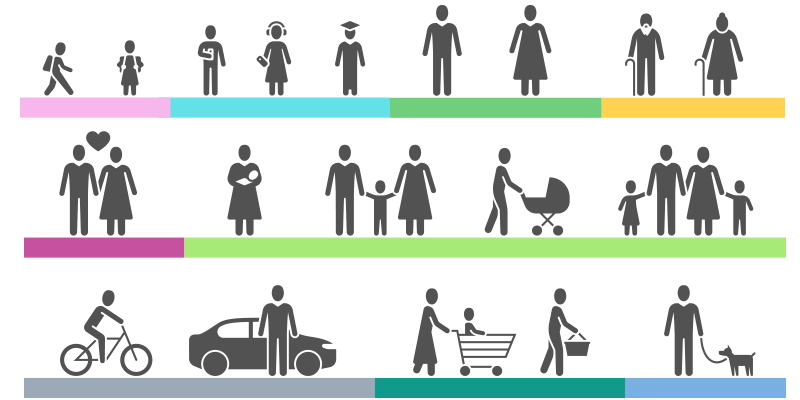 Using trip patterns, and audience source locations are just a couple of the new methods for planning OOH. While this may seem like a disruptive change, it actually has the potential to be a foundational change – completely rebuilding the way Out of Home media works. But for this to be the case it means that the industry will have to go through some significant changes. As Out of Home media planners we need to do a complete 180 in how we think about our media plans. While the media itself remains important, it becomes a secondary consideration to the audience. We need to develop a new understanding of what’s possible, and a new set of skills to deliver it. The growth of Digital Out of Home media will only compound this effect by adding another layer of change. The automation of planning and buying will reduce the turnaround time for campaign planning and deployment. The shift in focus to audience delivery will also have an impact on messaging – different creatives can be delivered to the appropriate OOH locations based on the audience composition for the space, along with other elements of contextual relevance. Peter Drucker famously said, “The best way to predict the future is to create it”. Right now, Out of Home is creating its own future. It is creating a new media planning model, where audience location is the physical manifestation of digital behavior, and the focus of planning shifts from the media to the audience. With this new paradigm, Out of Home is building a future that is integrated into the larger digital ecosystem, and built to adapt and scale as new sources of data, and new modes of audience behavior—ones that we can’t even begin to predict right now—manifest themselves. The next few years promise to be an exciting time in the Out of Home world (we haven’t even touched on the question of geofencing and attribution – but we’ll save that for another day). As the media continues to change an evolve at such a rapid pace it is incumbent on all of us who work in the industry to be lifelong learners, and adopt the role of both student and teacher – perpetually learning for ourselves, and teaching our clients how to make the most of these new changes. Matt is crazy about outdoor advertising, design & technology, electric bass guitars, chocolate covered pretzels and scrapple. He has been working in the out of home industry for 16 years.